Welcome to the first Brits in Hot Weather of 2019. It seems like a long time since the last one but in that time I have managed to make all my trousers not fit. Quite a feat. So now we all head into 2019 properly, it feels like the perfect time to kick off PopMatters first roundup of the year. As ever, we bring you five songs from five British artists to bring a little warmth as we enter the business end of winter. 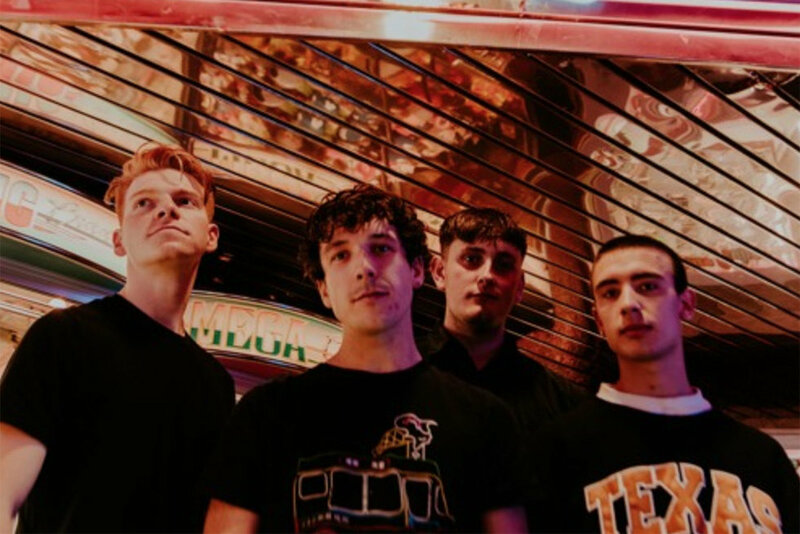 This week we have fizzing, pop-punk from Brand New Friend, candid indie from Leisure Society, '80s new wave-influenced Guest Singer, affecting indie pop from Dancing on Tables, and spiky indie from FEET. Brand New Friend - "I Was an Astronaut"
After a long day at work, Uni, school or wherever you spend your days, often the first thing you need when you come home is something to erase the stresses and strains of the day. Maybe a soothing massage to ease knotted muscles or a warm, relaxing bubble bath surrounded by aromatic candles... Or you could just crank up your speakers loud enough to raise complaints, bounce around the room like your limbs are on fire and shout along to a chorus that will even get that cranky next door neighbour up on their feet. 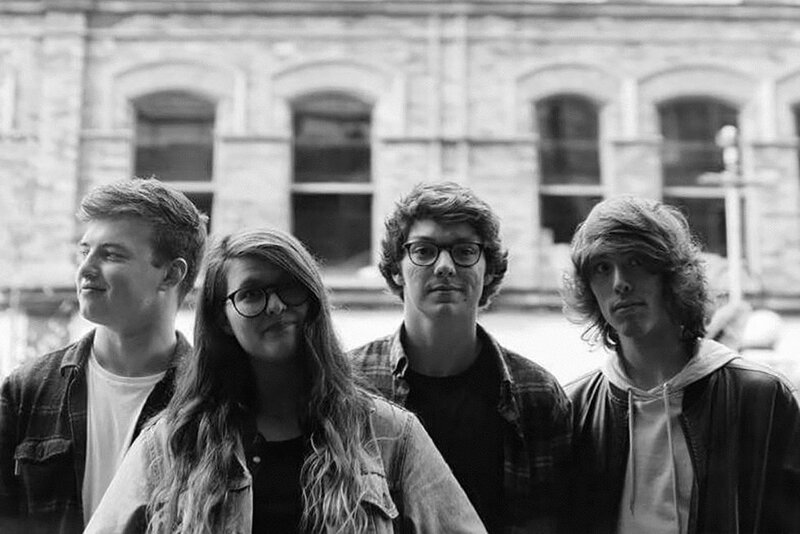 If the later is more your style, then Northern Irish pop-punkers Brand New Friend are just the band for you. Taken from last years brilliant Seatbelts For Aeroplanes album, "I Was an Astronaut" is a tightly wound pop-punk song, full of fizzy, effervescent hooks and brimming with infectious, youthful energy. The Derry trio take the simplest of ingredients, uncomplicated, distorted guitar chords, spry keyboard lines, and joyful vocal melodies and cook up something delicious, filling and comforting. It's impossible not to get swept up by the song's buzzing, bouncing sense of optimism and sheer vitality. It's a surefire way to forget another busy day and to celebrate just being. Brand New Friend are heading out on a massive UK tour right now. Don't miss it. The Leisure Society - "God Has Taken a Vacation"
On the Leisure Society's new single frontman Nick Hemming attempts the unenviable task of channeling the pain and upheaval of separation and drawing it into a powerful musical statement. In this case, it is Hemming's split from his wife that provides the source material for one of the band's most candid and rawly affecting songs to date. As you would imagine from the title, Hemming is struggling to come to accept and understand why misfortune has befallen him. Furthermore, he appears to be questioning how it is even possible to continue to navigate a world that suddenly seems devoid of hope and hellbent on destruction. Over a slightly bluesy electric guitar riff, the band add layers of cinematic strings that give it real emotional heft, as Hemming relays his worries. With lines like "Should I raise imaginary children, to make the same mistakes as me?" Cleverly, Hemming takes the uncertainty surrounding his break up and considers it in a wider context. In this case, the division, conflict, and intolerance that constantly seems to be chipping away at the foundations of our society. "God Has Taken a Vacation" is a fresh and compelling take on the age-old theological conundrum, where is God when bad things are happening? Plus it's got John Simm in the video. Guest Singer - "New Experience"
Guest Singer may just be one of THE great band names. Personally, I think simply calling your band "Guest Singer" is knocking on the door of genius and would have tantalised my musical taste buds before even hearing a note of music. Fortunately, the music they do make is inspired new wave electropop with a cooly beating dark heart. On "New Experience", the band quickly chip away at the shiny lacquer of modern day social media BS and takes aim at those carefully managed social media personas that profit from baseless claims and pseudo-philosophical assertions. 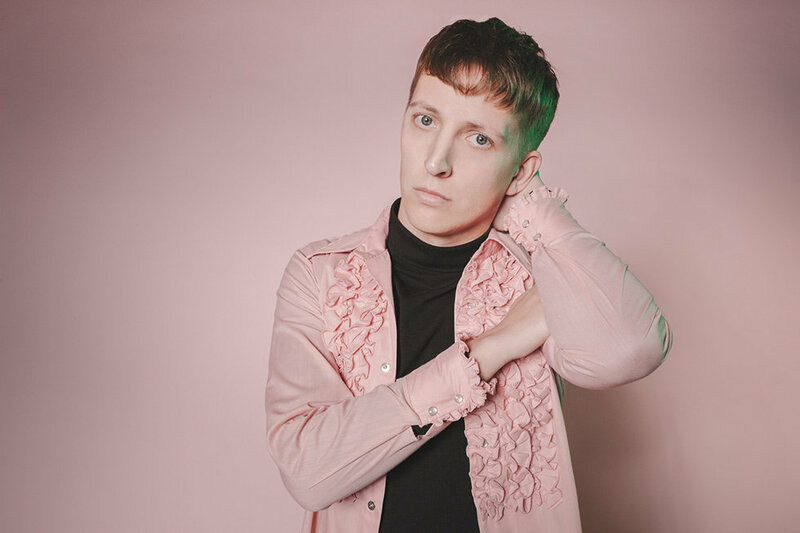 Over gleaming, oscillating notes, sparse, reverb-drenched guitar lines, and a crisp beat Singer Jake Cope cuttingly skewers the sham of social media influencers with the line, "Do you live by the words on the backdrop, of a well shot holiday hotspot?" Musically, the song exists in the afterglow of the party but in full knowledge that the buzz will fade at any given moment. Even as the song bursts into colour with warming surges of '80s synths and echoing guitar that thrust the song into a wide-eyed sugar rush of a chorus, there's a sense that the dizzying high is a superficial one. A sense that when the sun rises and the cold light of day hits, that's where the real darkness begins. Dancing on Tables - "Black"
The four school friends that make up Dancing on Tables know what it's like to have their art neglected. Hailing from Dunfermline, just outside Edinburgh, the Scottish four-piece have had to do things the hard way. Fighting constant battles to get their music heard as society increasingly places profit above the promotion of culture and the arts. While it may have been a long, and often arduous road, the band have never let it get in the way of their songwriting. It's the solid bond that unifies them all and has given them the strength to write a song as stunning as new single "Black". "Black" is as disarming as it is surprising. Opening with ringing, finger-picked guitars, the soft Scottish burr of the vocals drift and swirl, buffeted by smooth harmonies and wispy melodies that tumble as if caught in a breeze. Without warning, the wind suddenly changes as the folky guitars are immersed in bright synths for a chorus that grabs you by the hand and doesn't look back. With songs like "Black", Dancing on Tables have proven that their fight to shine a light on the Northern music scene is one that will soon reap solid rewards. It has become fairly obvious that the one thing that this column is lacking is a theme tune. 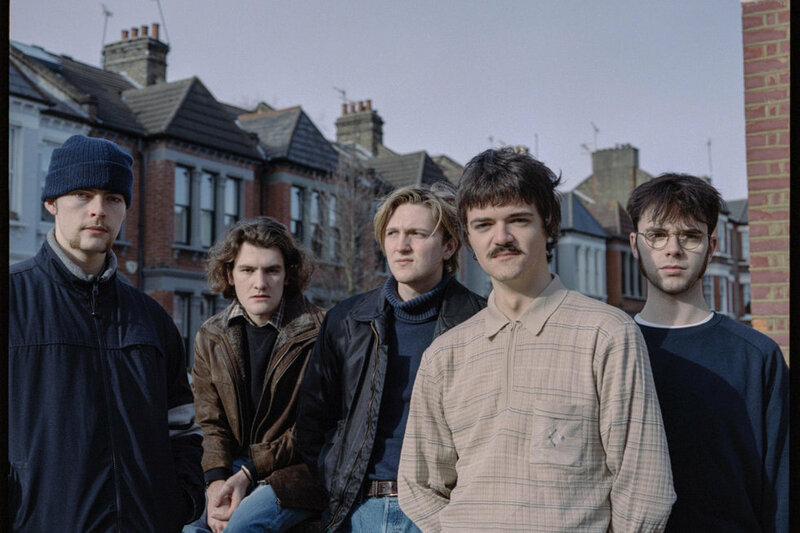 Thankfully, as if by magic, Coventry four-piece FEET have penned an anthem that summarises perfectly what this here feature is all about - English people struggling with heat. Following up the left hook and uppercut of last year's "Petty Thieving" and "Backstreet Driver" singles, the band are back with their storming new single. "English Weather" is their devilishly sarcastic take on the joys of British summer time. That time of year when the Daily Express takes great joy from declaring that we will soon be burned alive on the way to the pub. Those blisteringly hot days, when green spaces the length and breadth of England are awash with enthusiastically uncovered paunches, needless acres of wobbling flesh, and the lobster-red agony of a day spent crispening in the sun. 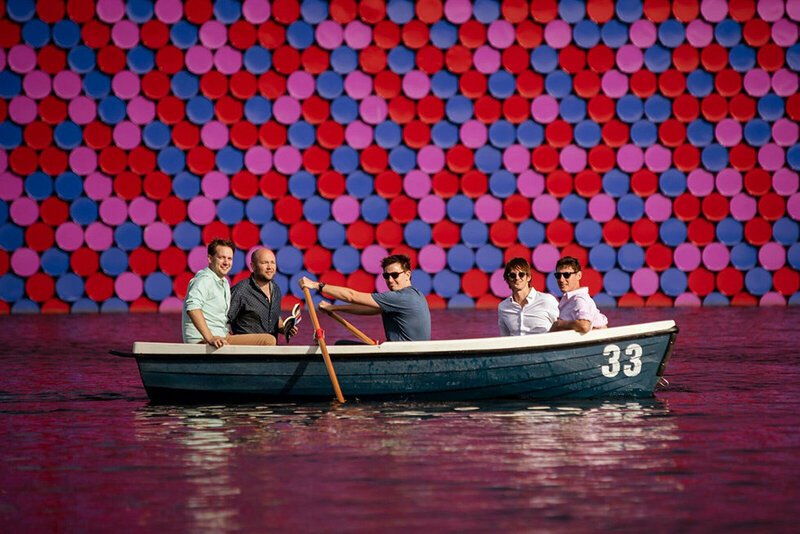 Over a mix of early '80s Bowie and early '90s baggy, the band show off their rare gift for melding genuinely funny, observational lyrics with jangly hooks, catchy melodies and Blur-esque harmonies. With "English Weather" FEET prove once again why they are one of the most exciting bands around at the moment. Lastly, please support all the bands on here. Give them your time, attention and possibly a few quid. They may change your life. Until next time, stay warm.